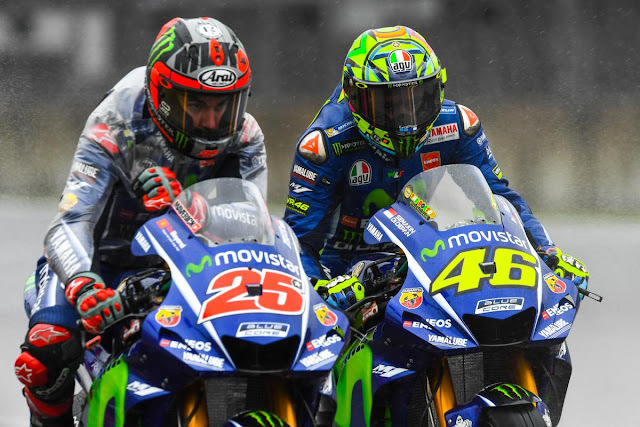 Both Movistar Yamahas made a good start at the Japanese GP, but disaster struck first for Valentino Rossi as the ‘Doctor’ crashed out of the race when chasing down Aleix Espargaro (Aprilia Racing Team Gresini). After also highsiding on Saturday, it was a painful two days for the Italian – although he escaped unscathed. That’s a good positive as the nine-time World Champion continues to recover to full strength following his broken leg, but the grip issues were something elaborated on by teammate Viñales following his P9. When asked about the Championship – where Viñales is now 41 points off the top – the Spaniard says he's not thinking about it, and he’ll wait and see how the rest of the season plays out. Both Yamahas will be back on track in Australia and be looking to bounce back.